This is the last Wet N’ Wild palette I own but is no less loved and adored. 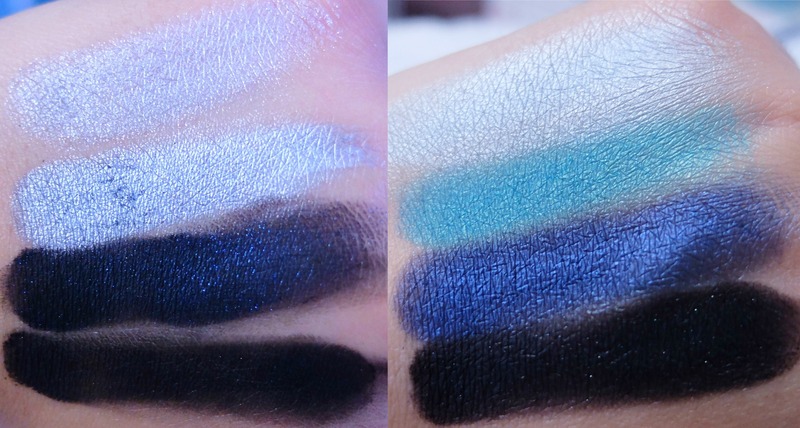 It is definitely for those of you who love smoky eyes and have a passion for blue (like myself), as well as, a passion for awesome eyeshadow quality! How amazing are those shades?! All the swatches were done without a primer by the way, and I achieved this full opacity with one or two swipes depending on the color. I never cease to be amazed by the beautiful quality and colors of these Wet N’ Wild 8 pan palettes, and Blue Had Me At Hello is a total must-have for all you palette loving, makeup junkies. Which of the Wet N’ Wild Palettes has been your favorite: Petal Pusher, Comfort Zone, or Blue Had Me At Hello? P.S. Can you find the letter that contains the picture of this palette in my header? Leave me your answer down below!